You’ve asked we’ve listened following feedback from our customers Sage has added a number of new features to enable small businesses to work accurately and efficiently. This is all part of Sages goal to make Sage One the best user experience possible. Along with changes to invoices we received feedback from tradesmen such as painter and decorators, electricians and plumbers that they wanted to raise estimates before they either raise a quotation or an invoice. This allows Sage One users to provide estimates of any work they need to carry out prior to any work that has started. You can set a number or different settings for your estimate such as Default days to expiry, estimate number prefix and Next estimate/quote number. 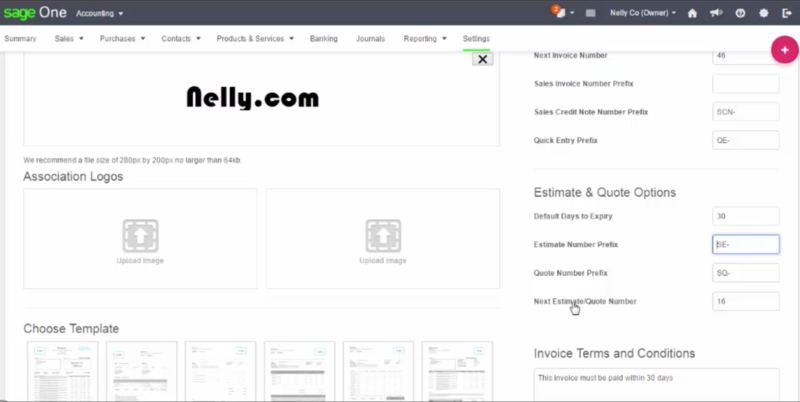 So we’ve added the new Sales Estimates feature to Sage One Accounting that helps you provide your customers a rough estimate of what the job will cost, track where it is currently in your sales pipeline as well as effortless convert it to an invoice.